Linking Creativity to the Common Core Through Odyssey of the Mind | What do self regulation and standards based education have in common? There is a group of elementary age students in Massapequa and throughout Long Island who are core ready, and they don’t even know it! Without the stress and focus on high stakes testing, educators have been teaching problem solving through participation in Odyssey of the Mind. It can be done! Creativity and the common core quest for problem solving, cooperative and independent learning, writing from sources, and shifting to academic vocabulary are already part of some school programs, and should be available to all students to enjoy becoming core ready! This was all new to me until this past school year when my 10 year old grand daughter became part of this international educational program that provides creative problem-solving opportunities for students from kindergarten through college. Mackenzie explained to me yesterday (on the way home from the competition) how her school begins this competition at the fifth grade and when she became a fifth grader she was invited (with her team members) to apply their creativity to solve problems by presenting their own interpretation of literary classics. She proudly stated, “Nana, the kids do all the work!” This is very true, it is kid-centered all the way. The teacher is a facilitator, and parents are warned to not help in any way. Many of the meetings for my grand daughter took place early in the mornings before school, and after school. 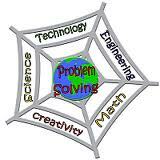 The problems solved are not only literature based, but can be science, technology, engineering or mathematical. However, creativity and problem solving is the common core of this learning experience. I learned later that the teams that took first place compete at the state, and then the World level. Thousands of teams from throughout the U.S. and from about 25 other countries participate in the program. I thought, while we are focusing on the common core and standards to compete in the future world workplace, why aren’t we better represented on the world stage in Odyssey of the Mind? Becoming core ready is not only about standards, it is about learning to be problem solvers using critical thinking skills. Participation in programs like Odyssey of the Mind should be linked to the earliest elementary school years, so children can become familiar with the fun side of learning while spiraling up the staircase of complexity. Below is the website for Odyssey of the Mind I hope you find it as interesting as I did. My goal is to learn more about Odyssey of the Mind because I can see the strong links to becoming self regulated independent learners, and core ready at the same time!